In just 30 minutes a week, you can change a child's future! Power Read is a literacy and mentoring program that pairs volunteers and elementary school students to read together on a weekly basis. The majority of students served are struggling readers facing many barriers. Power Read is an opportunity for these students to practice reading and develop literacy skills with a caring adult outside the classroom. From kindergarten through the end of third grade, students learn to read. After that, they must be able to read to learn. 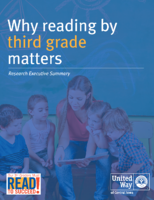 This one factor, the ability to read proficiently at the end of third grade, has long-term implications for individuals and for our community. Students who can’t read at grade level at the end of third grade are 4x more likely to drop out before they graduate. That’s why United Way of Central Iowa launched READ to SUCCEED, a ground-breaking, community-wide awareness and action campaign to help our kids get the skills they need to succeed as students and beyond. Read Together for 15 minutes every day—whether you are a parent, caregiver, neighbor, or volunteer—whether you are in the grocery store, the waiting room, on your couch, or in a classroom. These are the most important minutes of a child’s day. Scroll down for reading tips and resources for parents and caregivers. Choose a category below to find ideas and resources you can use to help students in central Iowa read proficiently. Find great tools and ideas to help kids with their reading, including simple everyday ideas and fun activities you can do together. Find ways you and your friends and colleagues can help kids READ to SUCCEED in central Iowa. Find ways to get your organization involved in helping central Iowa kids READ to SUCCEED! 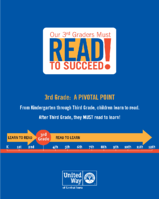 Download the following materials to learn more about the READ to SUCCEED initiative. Want to help, but not sure how? Fill out our READ to SUCCEED Commitment Form and we'll contact you with ideas. See who has committed already. 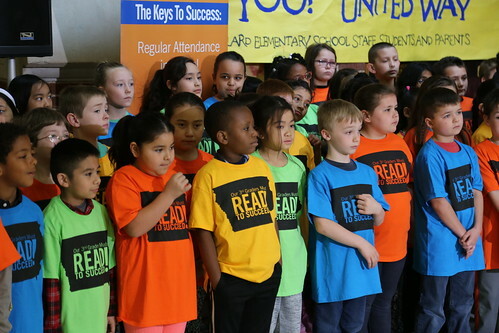 As part of READ to SUCCEED, the following programs and initiatives are designed to provide the tools, resources and opportunities for students to enhance their reading, and for volunteers to help. Volunteers read to preschool age children each week during the school year. Volunteers do reading activities with K-5 students each week of the school year. 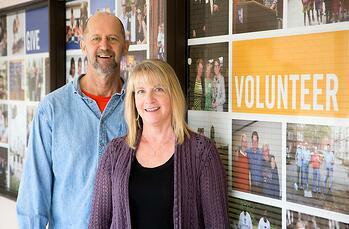 Volunteers build literacy kits for struggling readers. 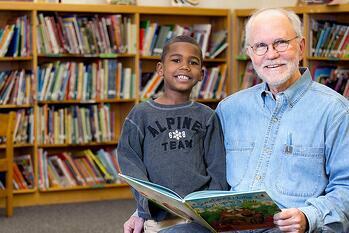 Groups organize book drives to collect new and gently used children's books. Vision screenings and free eyeglasses for central Iowa students in need. 98.2 percent of students in the Power Read program demonstrated improvements in reading. The program, which pairs reading mentors with elementary students to read for 30 minutes each week, engaged 250 new volunteers, half of United Way’s goal of engaging 500 new volunteers by 2020. In the Book Buddy program, preschool participants saw a 66 percent increase in print literacy skills in the past school year. More than 200 volunteer were engaged as reading mentors. Des Moines received the prestigious All-America City Award for its civic engagement to help more young children from low-income families achieve grade-level reading proficiency and early school success. The Campaign for Grade-Level Reading noted that kindergarten students who met the benchmarks of school readiness increased to 49.5 percent from 28.6 percent in 2015. More than 40,000 books and 10,000 literacy kits went to children and child care centers to build their literacy skills. One year after the launch of READ to SUCCEED, volunteers who got involved in the Power Read literacy and mentoring program share the stories of their experience. 5-year-old Honor was in tears on his first day of Power Read. His transformation since then has been remarkable. When Mike and Lynn Sucik arrive at South Union Elementary on Mondays, they have learned to expect a bit of a lunchtime mess. The following individuals have volunteered to help guide the efforts of READ to SUCCEED. "READ to SUCCEED is a ground-breaking community-wide effort. 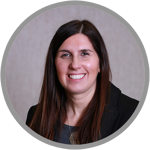 This issue is so important to the long-term success of students in our community, so we're excited to see great progress in early grade reading."